5 Activities with Your Elderly That Will Cure Dull Days Instantly! ← How Can Your Diet Keep You Young? 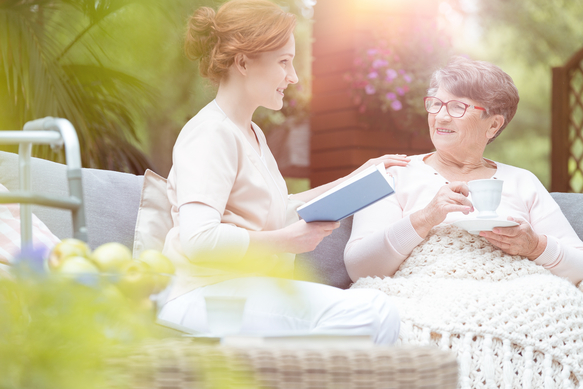 Just like us, our elderly loved ones can also feel that time slows down especially when they are at home stuck with the same routine all week long. As much as they fancy doing something to break the boring streak, they are limited by their physical strength. This is the very reason we try to achieve or seek non-medical home care in Winter Haven FL. Their peepers may not be as clear as they once were, but surely, they crave the intensity, inspiration, and heart-warming touch of good literature. Share with them your favorite reading books. Read out loud in your best storytelling voice. Bring in some laughs. Encourage insights. Before pushing through in this activity, consider your loved one’s capacity. This will determine whether or not they can make sense of the game and enjoy it like you intend it to be. Card games make an awesome mental exercise. This will keep them sharp amidst the threats of neurodegenerative diseases. Break open some memories that have longed to be touched. Scan through the family’s photo albums and narrate the stories behind every photograph to each other. Ask for pieces of advice about living a fruitful life. You could use a few for your own adventure! Write letters to distant relatives. With the generation gap, your loved one may not be as keen with technology as you are. Letters could be the most familiar way they could think in communicating with a family member who lives miles away. Letters are also sweeter because they implicate thought and effort. Pay old friends a visit. Gear your loved one up for a day out to their old friends’ home. While it is a great time to get some sun and change the in-house routine up a notch, it will also lift their moods as there isn’t anything like a reunion with the people you spent special times with. Don’t worry if you don’t have the time to do all these for your loved ones. It is understood that you also have to make the means for them to enjoy the comfort of life at home. To get your money’s worth, choose a home care service that’s as compassionate and specific to quality as you are. At Compassion Home Care, we offer the best companionship care in Florida. If you’d like to know about this service, call us at 863-845-2268. This entry was posted in Senior Health Care and tagged Companionship care, daily living activities, Homecare, Non-Medical Home Care. Bookmark the permalink.